Ability to add commission to trade amounts separately for each account, category and type of trade. Ability to Import, Export, Search. Management sources of prices in the market and connect them to MetaTrader symbols. Ability to set spread and change prices for each symbol. Ability to Import, Export and Search. Connect market Instruments to MetaTrader symbols. Ability to manage symbols that connected to the market. Ability to define additional commission on trade price for each symbol. Ability to enter MetaTrader symbols swap settings via a CSV file or GUI software. Remote connectivity ability to MetaTrader software and import informations to it. Change Swap symbols settings as a group, for defined groups. Ability export and import to file. 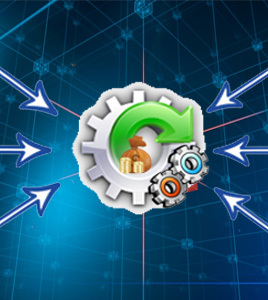 This plugin exports all information required from MT4 to be used for accounting purposes. It works best with our Billing software however can work with any third party programs as far as an API if provided. This MT4 plugin is capable of exporting all information regarding all accounts from MT4 to any external program even third party as far as an API is provided. It works almost on real-time basis and works best with our CRM. Be informed when an account starts scalping. Feed prices in to your MT4 from any source. Gain more control over how your Meta Trader 4 executes orders.